It's a Storme that promised so much and is yet to blow anyone away. 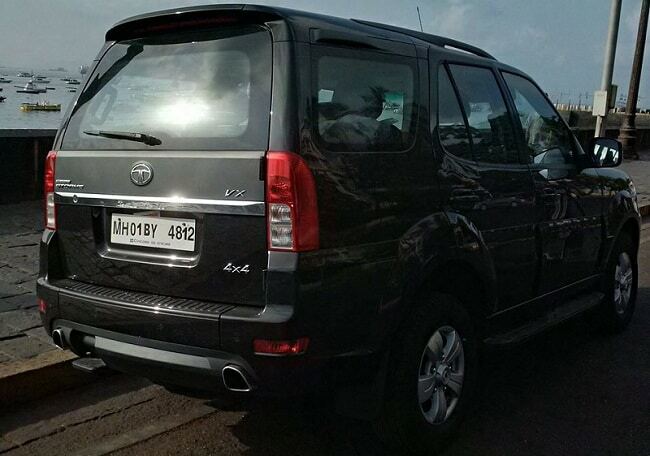 Tata Motors has added some fresh life to Safari Storme SUV to ensure it stays relevant amidst growing competition. But going by what it looks like atleast from the outside, it seems that they didn't want to infuse that much life either. Probably the only reason to smile will be the Land Rover inspired black honeycomb grille, that tells you at second glance that this is the 2015 model. Otherwise besides the new Varicor badge on the side and subtle changes to the roof rail, and it's quite disappointing to see the lack of added exterior appeal on the bulky SUV. But hang in there, it's not all downhill once you step inside the spacious cabin. The dual tone black silver dash with new silver touches add some premium appeal. A touchscreen could have made this dash look a bit more modern but sadly it's the single DIN audio system with new features that you have to contend with. Tata has improved the quality of the plastics on board and it feels much easier and solid to use. 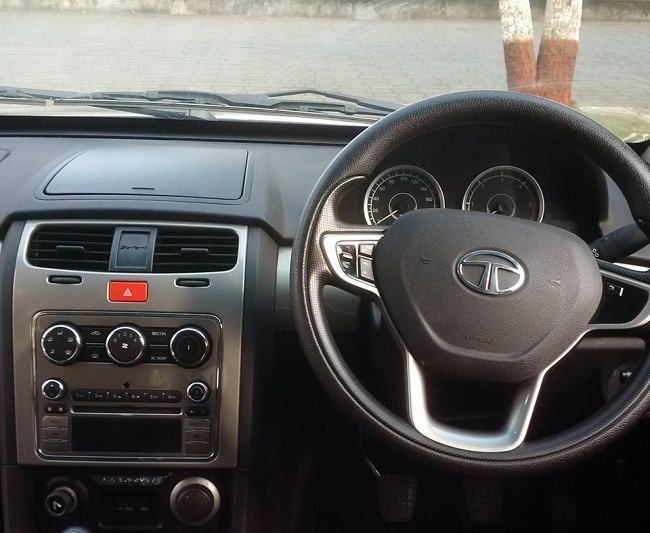 The new Strome uses the new steering wheel from the Zest and Bolt with integrated controls. But one area that you will certainly be handicapped while parking is the lack of a reverse camera, the Storme comes only with sensors that really is of little help. No reason to complain with regards to the seats both in front and rear as they come now with better fabrics and are cushioned with the right stiffness. 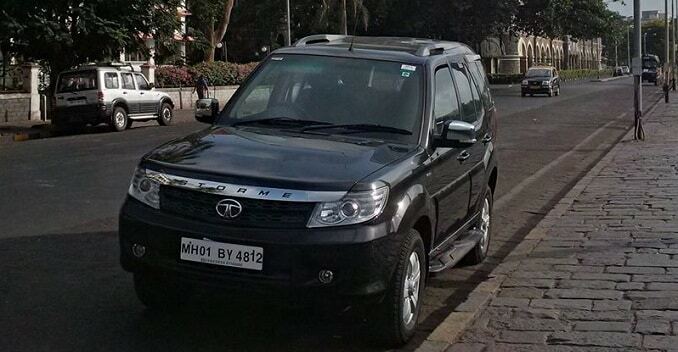 Tata hasn't look to add an additional third row in the new Storme and has stuck with the jump seats at the rear. Now there is a new engine on the new Storme but hold your horses. It's the 2.2 litre engine borrowed from cousin Aria that gives it an extra 10 bhp at 148 bhp and 320 nm of peak torque. There is some reason to smile as the engine feels quite responsive and punchy than before especially when you hit that open stretch on the highway. The turbo lag has reduced significantly but not so smooth gearbox is quite a downer. In city traffic, you are likely to feel a bit frustrated driving this heavy SUV and wished your left arms didn't have this workout session with the gearbox. But you will have less of a struggle with the new steering wheel as it feel quite precise and easy to grip with good feel. The high seating position for the driver ensures you get a good view of the road. The new Storme doesn't get any changes to the suspension setup, not that it needed any. The ride quality continues to be great with the SUV showing that it can drive over bad roads with aplomb aided by the high ground clearance. But push it around corners and the body roll especially at high speeds gets uncomfortable and will make you ease your foot off the gas pedal. Prices for the new Safari Storme start at Rs 9.99 lakh (ex showroom Delhi) and will takes on the new Mahindra Scorpio and the Renault Duster AWD. But it will need more of an effort to really create a Storme and blow the competition away. 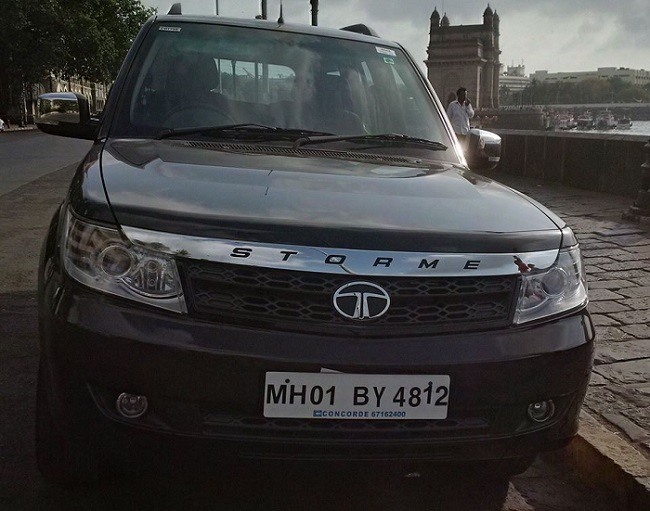 We know Tata Motors now has the Land Rover expertise to give the Storme more teeth, hopefully that will happen sooner than later.